If you are looking for a place to stay while enjoying one of your hobbies such as bird watching, fishing, golfing, walking, cycling or are just wanting to ‘get away from it all’ Broc Holiday Log Cabin is perfectly located for this. It is situated at the foothills of the Monadhliath Mountain range so exploring the beautiful countryside and wildlife is right on your doorstep, local wildlife include pine martins, red and roe deer, red kites, woodpeckers, ospreys and Slovenian Grebe (arriving March/April until later summer) can be seen, also within easy travelling distance are some of the best tourist attractions in the Scottish Highlands such as Culloden Battlefield, Cawdor Castle, Cairngorm Mountain range and nature reserve or of course the world famous Loch Ness. The Log Cabin is all on one ground level and sleeps upto 5 adults. The Entrance hall leads through to the open plan lounge, dining room and kitchen, the lounge window looks onto the decking and stunning views of Loch Ruthven. Double Bedroom with double bed, bedside cabinets, built in wardrobe and shelves, and remote control electric panel heater. Twin Bedroom with twin beds, bedside cabinet, built in wardrobe and shelves, and remote control electric panel heater. Single Bedroom with single bed, set of drawers, wardrobe and remote control electric panel heater. 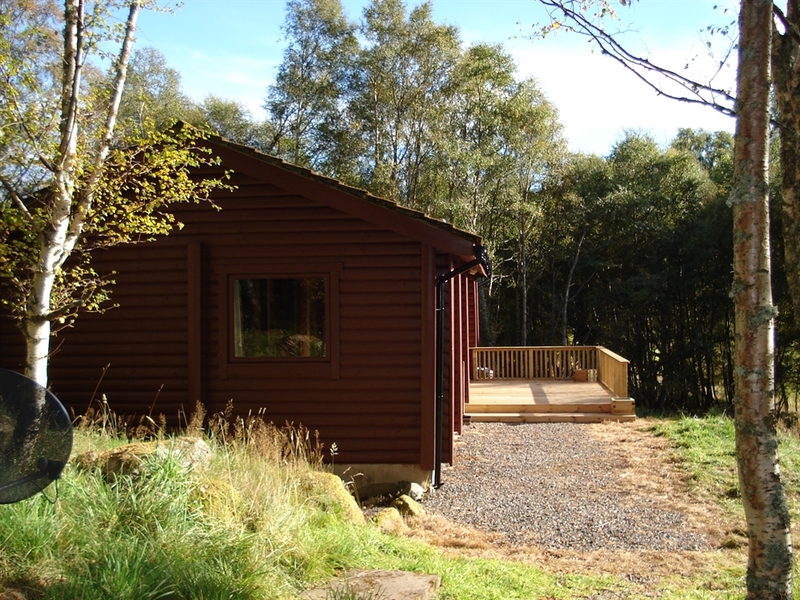 Outside is a fairly large decking area with patio table and chairs to while away a few hours overlooking Loch Ruthven. The garden is woodland and extends to the front of the property. Car parking is available in the privately owned car park near the cabin. 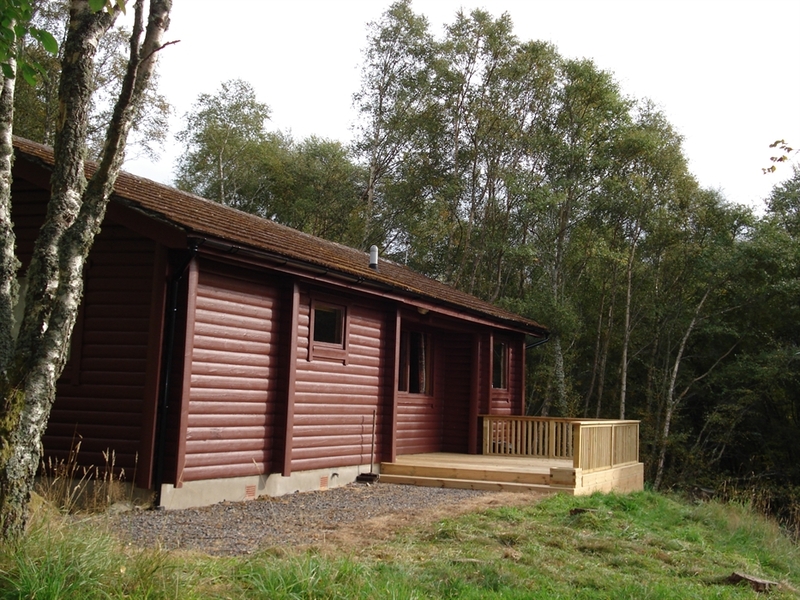 The cabin is a short walk (75 metres) from the cabin along a woodland path and is not suitable for those with mobility challenges.